Participating in AYF Youth Corps has always been on my To-Do List. I’ve wanted to participate in this program ever since I was introduced to it as a Badanee. Following Youth Corps, I’ll be staying in Armenia for an additional five weeks to become a Birthright Armenia participant, as well. Thus, in less than two weeks, I’ll be embarking on the journey of a lifetime. While I’ve been to Armenia once before, I know that this trip will be entirely different. For starters, I’ll be there for longer than two weeks, doing so much more than sightseeing and touring. I have so much to look forward to and I can’t help but be overtaken with excitement. There’s so much I want to do and experience while living and working in Armenia, and what better way to organize those aspirations than with an Armenia To-Do list as my first Youth Corps blog. Of course, I know that the adventures that wait in Armenia are going to exceed this list, greatly. 1. Learn to make Sarma (called Dolma in Armenia). Maybe I’ll even be able to pick the grape leaves myself! 2. Have the kids I work with in Armenia and Artsakh teach me how to juggle a soccer ball. 3. Sing a couple of lines from my favorite Sayat Nova song on Sayat Nova St.
4. Make Ճինկալով Հաց in Artsakh. 5. Շուրջպար with my group around the «Ազատ Արցախը Ողջունում է Ձեզ» sign at the entrance of Karabakh. 6. Coordinate an Armenian dance with a group of ճահել kids. 8. 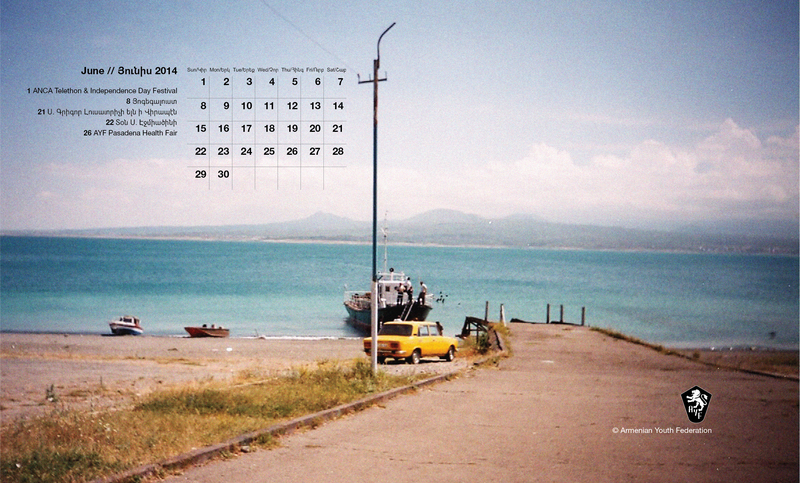 Have a memorable experience celebrating Armenia’s second independence on September 21. 9. Dance to a live Dhol and Zurna entourage. 10. Become a family with the other Youth Corps participants. 11. Write a Youth Corps blog entirely in Armenian. 12. Make very second in Armenia matter; the smallest effort and contribution is going to make a huge impact. 15. 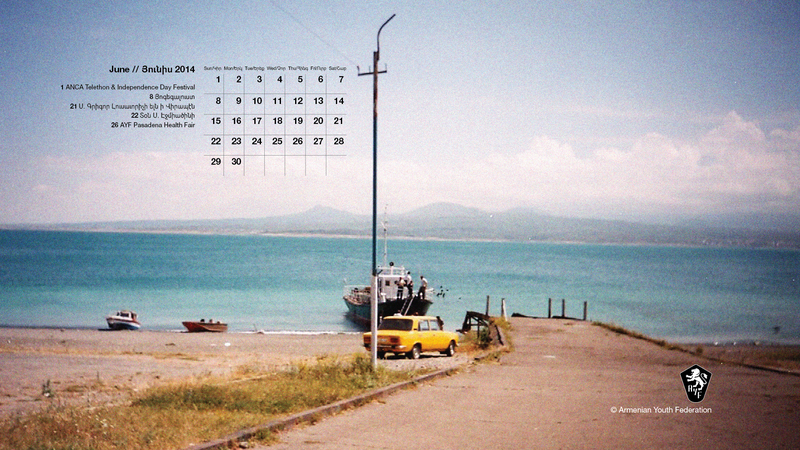 Discover, and fall in love with hidden gems of Armenia and Artsakh that often go unnoticed or unappreciated. 16. To not be a tourist. 17. Learn Artsakh’s national anthem. 18. Have an incredible experience watching the World Cup championship match. 20. Go hiking in Artsakh. 21. Learn to skip rocks at Parvana Lij in Javakhk. 22. Contribute to Armenia’s development and prosperity through my volunteer work with AYF Youth Corps and the internship I take part in with Birthright Armenia. 24. Try to buy a jazve from Jazve Cafe. 25. Return with stories about life in Armenia and inspire more diasporans to live and experience Armenia the following summer. 26. Lorke wherever, whenever possible. 27. Be fearless, be independent, open-hearted, and open-minded. Throughout my time in Armenia, I’ll be consistently writing blogs and I hope that in each one of those blogs I’ll be able to tell an incredible story about an extraordinary experience I had, on my own and with the group. 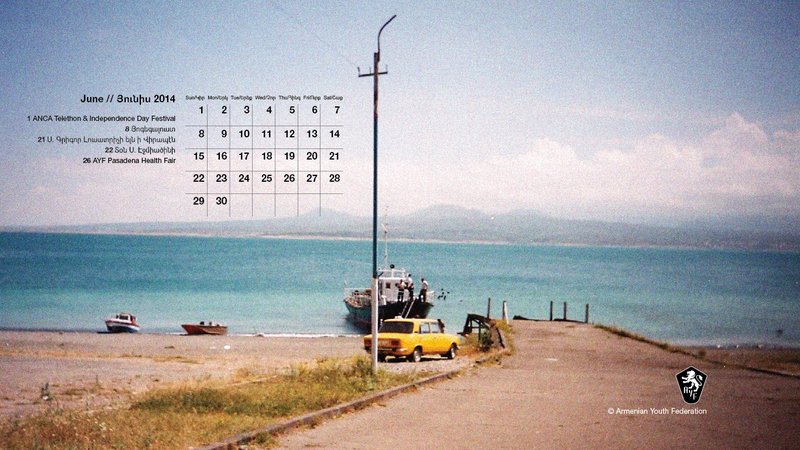 In time, I’ll be gladly crossing off things from my Armenia To-Do List. 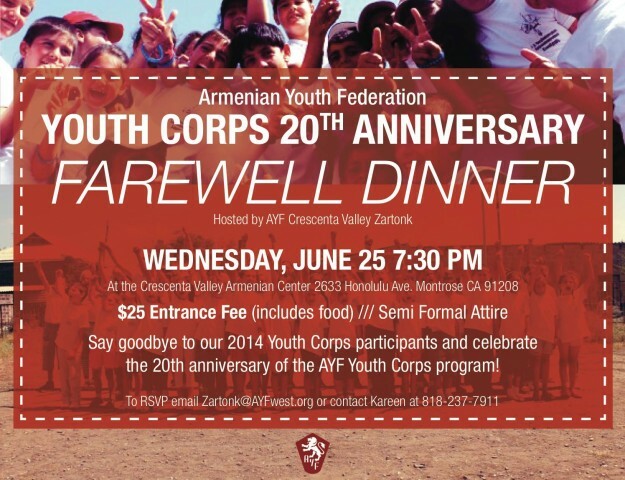 LA CRESCENTA — On Wednesday, June 25, the Armenian Youth Federation Crescenta Valley “Zartonk” Chapter hosted its annual AYF Youth Corps Farewell Dinner at the Crescenta Valley Armenian Center. There were over 60 people in attendance and the event raised over $1,000 for the Youth Corps program. The night featured tacos, burritos, and quesadillas for dinner as well as an array of desserts. 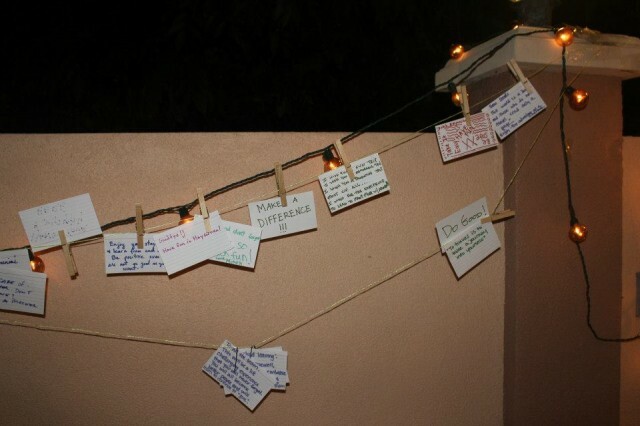 Attendees were asked to write pieces of advice and farewell wishes on index cards to the participants departing next week. Guests also took pictures in a photobooth. Afterwards, a presentation titled “A Day in the Life of AYF Youth Corps” was given by Youth Corps alumni about what to expect during the program. The participants were then recognized and given gifts courtesy of the “Zartonk” Chapter. 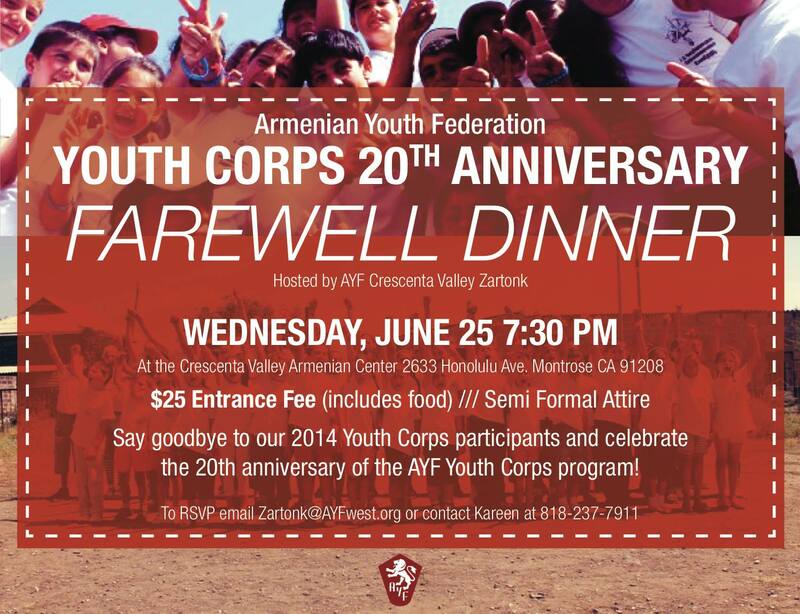 On Wednesday, June 25, the annual AYF Youth Corps Farewell Dinner hosted by the AYF Crescenta Valley “Zartonk” Chapter will take place at 7:30 pm at the Crescenta Valley Armenian Center located at 2633 Honolulu Ave., Montrose, CA 91020. The entrance fee is $20 and includes appetizers, an entree, dessert, and drinks. The attire is semi-formal. All proceeds will be donated to the AYF Youth Corps program. This year’s Youth Corps participants will be recognized at the dinner. 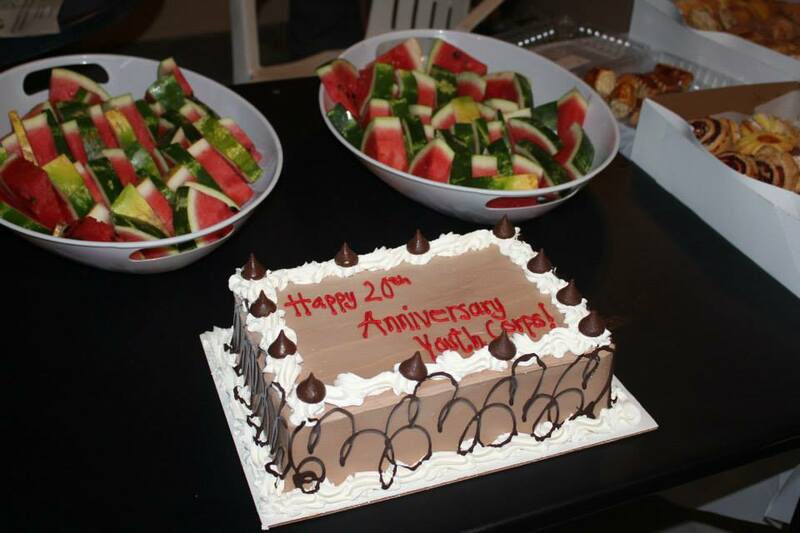 This year marks the 20th anniversary of the program. Since 1994, hundreds of volunteers from around the world have spent summers in Armenia and Nagorno-Karabagh to better the foundation and build bridges to the homeland. I am less than three weeks away from my departure and currently mixed with many emotions. Last time I was in Armenia, I had a different agenda. I was on a class trip, I was in fifth grade, and I had just an idea of my capabilities in this country. I would be lying if I said I wasn’t nervous about returning and getting a taste of what it’s really like to be living in Armenia, but it’s a different kind of nervousness. Of course, I get emotional every time I think about leaving my friends and family, people who I have spent the past eighteen summers with, but I also get the same sentiment every time I think about going home again, seeing Ararat again, walking on the streets of Yerevan again. I am impatiently waiting for AYF Youth Corps to start, I am excited to meet my family for the next six weeks, and I can’t wait to create memories and give back to a country that has given me so much. MONTEBELLO – The smell of homemade Armenian manti filled Armenian Mesrobian School’s kitchen last Tuesday night, when the Armenian Youth Federation’s (AYF) Montebello “Vahan Cardashian” chapter kicked off its first cooking class of the year, which will soon be joined by the launch of folk dancing classes later this month. “Cooking Armenian dishes together is a great way to learn something new and bond in a social, cultural and educational way,” said Nick Cabraloff, a cooking class participant and member of AYF Montebello. 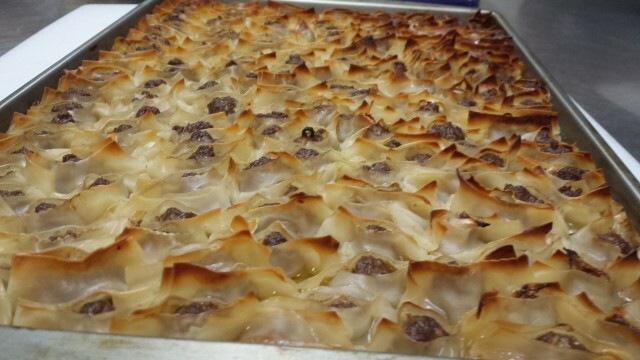 He and others learned how to make manti, a meat and dumpling dish found in many eastern cultures, with a distinctly Armenian variant since the 13th century that is smaller in size and cooked as opposed to steamed. 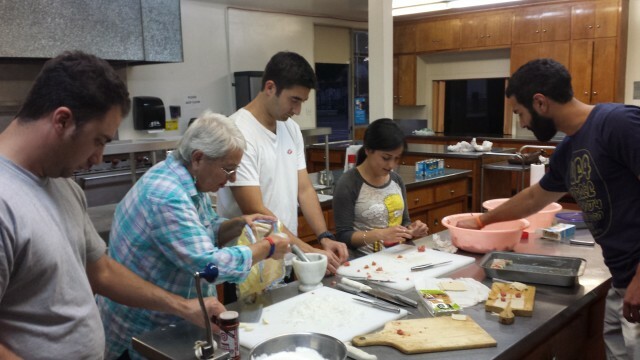 “I was delighted to see such interest about Armenian cooking and the eagerness of the participants in attempting to learn the intricate process of making Manti,” said Mariam Samoniantz, a Montebello Armenian community member and former Mesrobian educator who volunteered to teach the first class and provided her personal manti recipe. The recipe along with all the cooking instructions were made available to attendees and will also be shared on social media. The Armenian cooking classes will return Tuesday, July 1 at 7:30pm at Mesrobian, joined by Armenian folk dancing classes starting Saturday, June 21 at 12pm, at the Montebello Armenian Center (more details below). The dance classes will be led by Armenian youth who are currently studying traditional Armenian folk dances and ‘surch pars’. The selection of dances that will be introduced have been restored in their ethnographic form due to the folklorist work done by Karin Traditional Song and Dance Ensemble (and many others who have worked to preserve Armenian ethnographic dances). Background on the traditional folk movements and meanings will also be discussed and explored. Both classes are proudly offered by AYF Montebello free of charge to all participants as a service to the Armenian community. 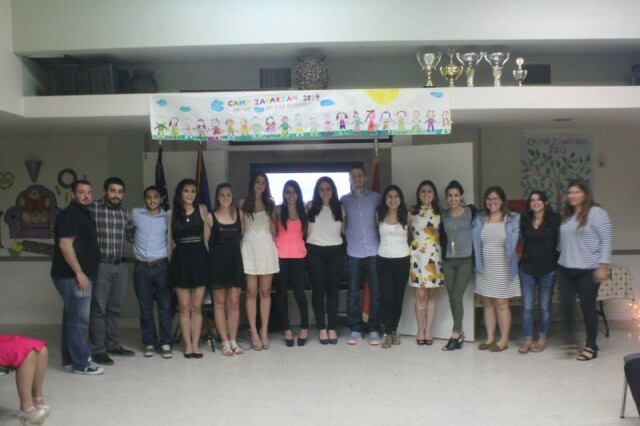 The AYF Montebello chapter aims to provide a fun and accessible way to keep Armenian culture thriving in the Montebello Armenian community, and strongly believes culture is a means of resistance against the constant threat of assimilation and erasure of the Diasporan Armenian identity. Classes are open to individuals of all ages in the Armenian community, as well as individuals of different backgrounds who want to learn, appreciate and continue the long history of Armenian culture. Individuals interested in signing up or inquiring further can email vahan.cardashian@ayfwest.org. 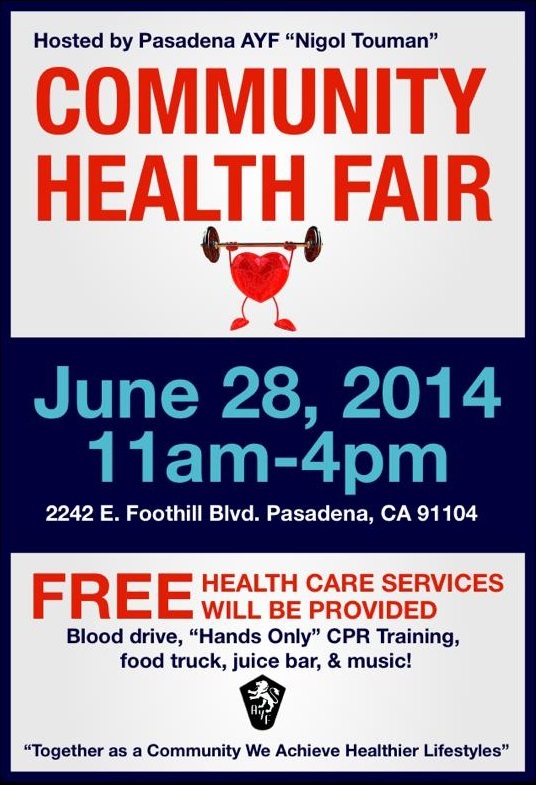 The AYF Pasadena “Nigol Touman” Chapter is proud to host their first Community Health Fair taking place on June 28 from 11:00 am to 4:00 pm at 2242 E Foothill Blvd Pasadena, CA 91107. The event will host several organizations such as Beads for Battle, Inc. , #IWEARORANGE, ABMDR-Armenian Bone Marrow Donor Registry, Young & Healthy and Planned Parenthood Pasadena and San Gabriel Valley. These booths will discuss several health related topics and will give advice and pamphlets to all attendees. You will be given a check-up for vital signs and be given the opportunity to learn hands only CPR by Code 3 Life Support. After having your vital signs checked by one of our skilled technicians from the Huntington Memorial Hospital, you’re invited to come take pictures at our photo booth, visit our food truck to have a bite to eat, and enjoy a healthy smoothie from our Juice Bar, while listening to some great music! Be sure to save the date, we’re hoping to see you then! 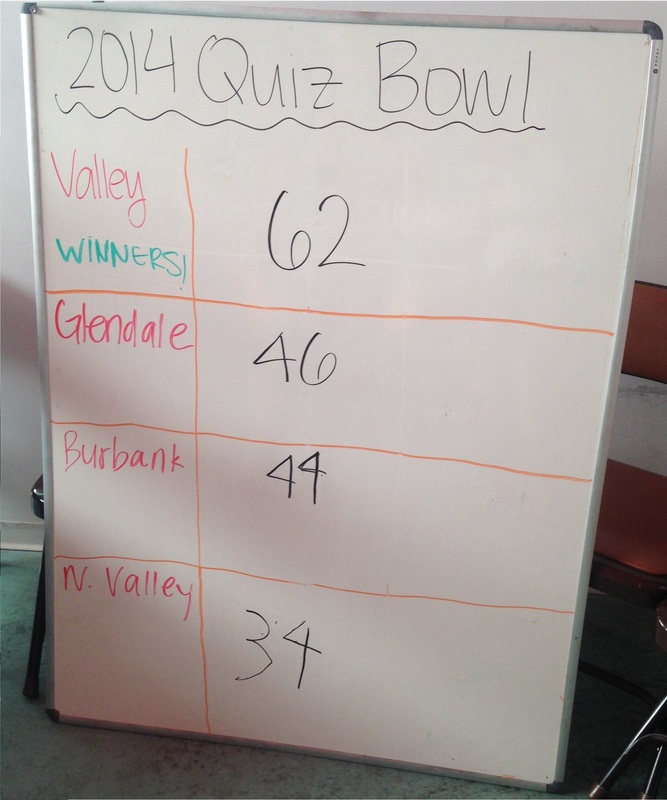 GLENDALE — On Saturday, May 31, the AYF Crescenta Valley “Zartonk” Chapter hosted its annual Quiz Bowl at the Glendale Youth Center. This year’s theme was Ancient Armenian History. The four participating chapters were the Glendale “Roupen” Chapter, the Burbank “Varak” Chapter, the San Fernando Valley “Sardarabad” Chapter and North San Fernando Valley Chapter. 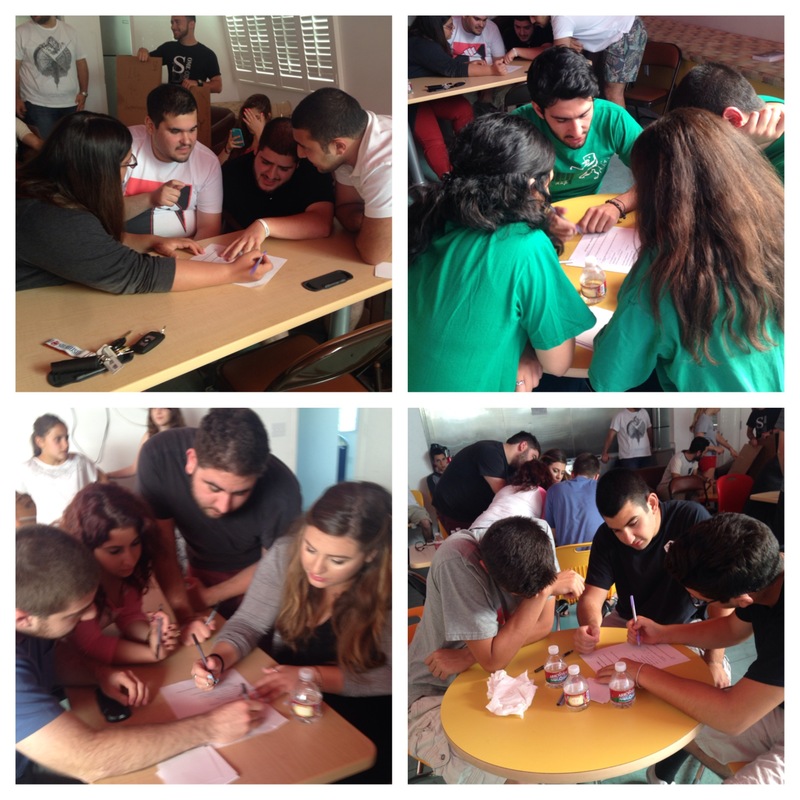 The participants received study guides in advance to prepare for the anticipated event. There were a total of 45 questions ranging from the 8th Century B.C. to the introduction of Christianity in Armenia. After a heated competition, the “Sardarabad” Chapter won the Quiz Bowl with a heaping 62 points and received a prize of $400. Click the following links for full-size images in the listed resolution. If you don’t know which link to use, click here.